Here is the Guest List you have been waiting for! 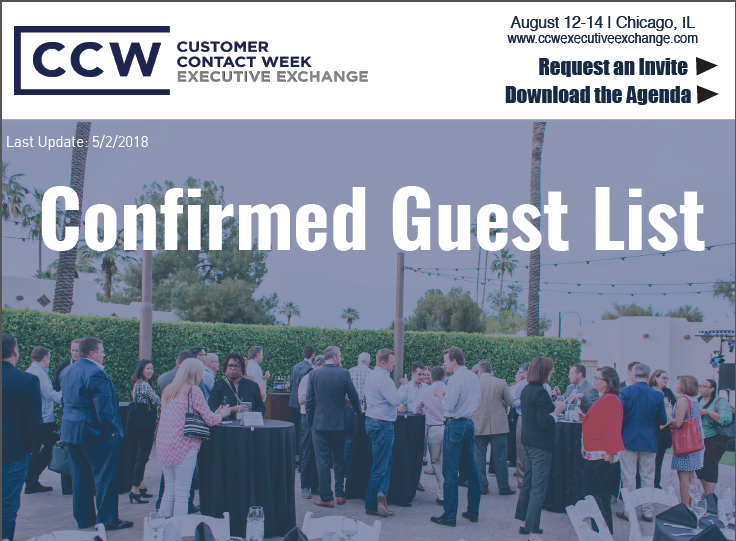 There is no other event that offers the exclusivity of the CCW Executive Exchange. We hand-select our attendees to create an intimate networking experience. By the end of your time at the Exchange, feel confident that you will know everyone onsite. Take a look at the attendees who are confirmed and if you need an agenda, let us know!